Your child doesn’t need to be reality-show-ready to be a master chef. There are plenty of cookbooks out there specifically constructed and written to help facilitate culinary skills among our youth. These books compile recipes that kids can prepare on their own or with some mild to moderate supervision and guidance. 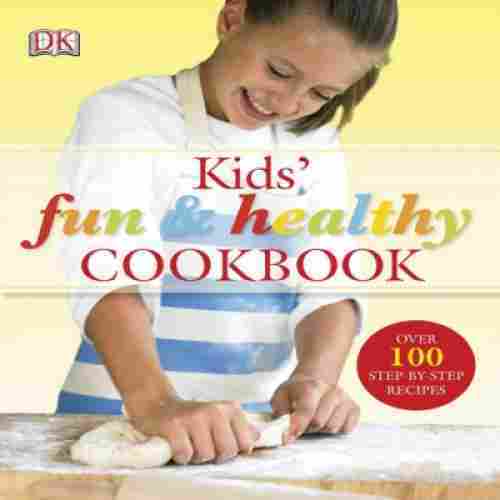 Many cookbooks for kids also teach about kitchen safety, how to grocery shop and stock your kitchen, and what kinds of foods are best for our bodies. If you have a curious culinary enthusiast on your hands, invest in one of these fantastic children’s cookbooks and share the joy of making (and eating!) all of these delicious dishes! Our top ten cookbooks remain well-stocked and well-rated. In our most recent update, we concentrated on streamlining summaries and making sure that all of the information about these cookbooks is presented in a straightforward and thorough fashion. Mealtimes are an ideal time for family bonding. And what better way to get your child involved in the process than to have him or her help you cook the meal? Cooking is life skill that is important for everyone to master, even if it is just the basics. 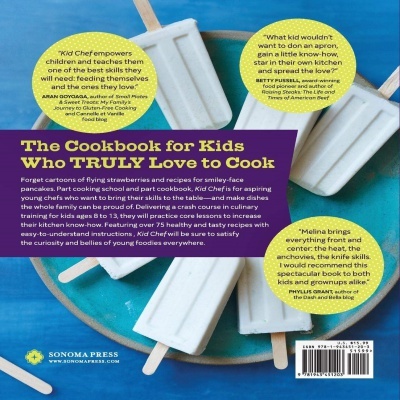 We have recently updated our list to include a number of new cookbooks that appeal to children. In addition, all book information such as age ranges, content details, cost and availability, have been reviewed and verified as accurate. Food is actually a pretty important part of wizarding culture. Rowling takes a significant amount of time to describe and name various dishes the characters eat throughout the books. 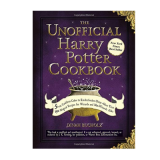 This unofficial cookbook combines Rowling’s ideas with traditional British dishes and talks about the history of each dish as well as its relation to the books. The book features illustrations, along with tips, techniques, and interesting real-world facts. (For example, a small blurb explains the difference between light and dark treacle syrups.) Dinners, desserts, snacks, and drinks: you’ll have everything you need to leave the Muggle world behind and indulge in an enchanting experience for your taste buds. Little witches and wizards will love making recipes from this book, including Harry’s favorite dessert, Kreacher’s French Onion Soup, Molly Weasley’s famous Meat Pies, and more! Cooking teaches kids important skills such as responsibility, following directions, motor skills, cause and effect, categorizing, measuring, and more. Beyond the technical aspects, cooking is a fun, creative way to learn about your own tastes. Kids and adults can practice all kinds of cauldron culinary cuisines with this beautiful Harry Potter cookbook. 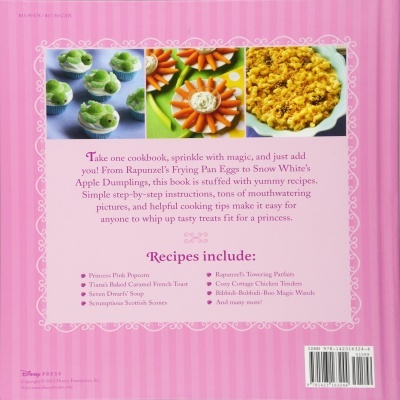 Cooking and the love for dolls come together in this cookbook it is truly something magical for the kids. They love seeing the cover and all the recipes inside. Two of the best things in a kid’s world come together in this cookbook. The cookbook features over 40 baking recipes for that are perfect for all family occasions. 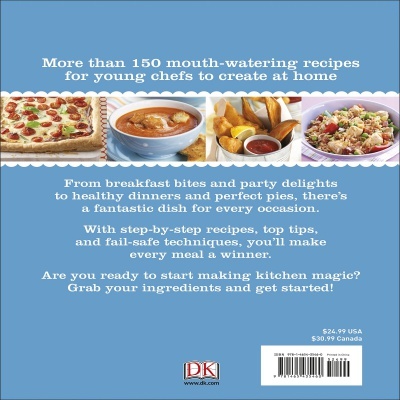 Each of the recipes is easy to follow and understand making it the perfect book to help with their new cooking hobby. Measuring out the ingredients and forming it into the dough then placing it into an oven is a transformation that kids simply find so much fun in. Plus the whole family can benefit from their labor of love. Featured are recipes for cookies, cupcakes, madeleines, and specialty baking favorites like; fudge, truffles, and turnovers. 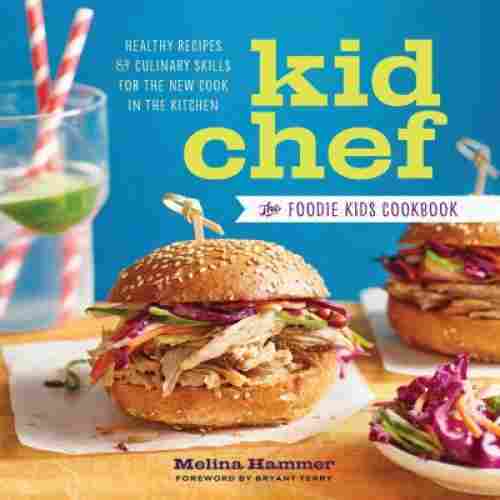 This is just the book to add to the shelf for your favorite little chef. Learning to measure out and put ingredients together to form a wonderful sweet treat is a great way to develop math skills that will not only help in the kitchen but in the classroom as well. Whether the young chef is doubling a recipe or measuring out a teaspoon they will be practicing their math skills without them even knowing. This is a fun and exciting way to ‘add’ some math to their everyday lives. This book is great for younger children who have a parent handy to help them. The recipes are not complicated, but do require using various kitchenware and the stove and oven. The pictures are pretty, the recipes are creative, and little ones will feel like royalty when they take the first bite of the food they helped to make themselves. 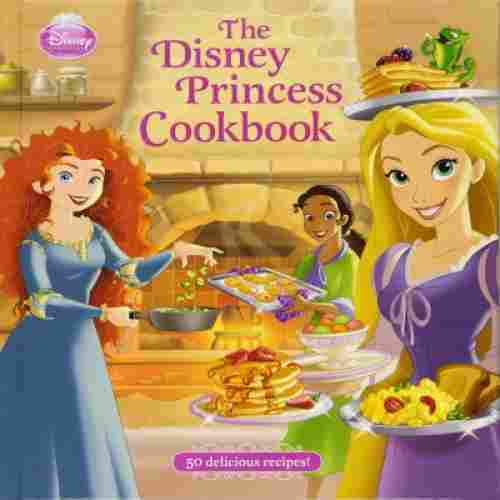 Children can make recipes such as Rapunzel’s Frying Pan Eggs, Ariel’s Sea Turtle Cupcakes, Tiana’s Baked Caramel French Toast, Rapunzel’s Towering Parfaits, Cozy Cottage Chicken Tenders, Bibbidi-Bobbidi-Boo Magic Wands, Seven Dwarf Soup, Scrumptious Scottish Scones, and more. The book shows step-by-step instructions, as well as gorgeous photography of the finished dishes that will have children jumping at the chance to make their favorite royal dishes. We love that this book shows all characters doing their fair share to help out in the kitchen. The recipes are pretty to look at as well as easy to make, so little ones will be excited to engage, but capable of handling the necessary steps with a little help from a parent or older sibling. If you think your kid deserves to lead a fat-free diet as early as possible, then the New Junior Cookbook is for him or her. If you’re here for the great illustrations and very compelling storytelling layout, then it’s also for you. Children love storytime. And you know what they don’t love? Being told what to do. Unfortunately, recipes often boil down to basic instructions and some pretty pictures. This might be enough to excite avid cooking fans, but lots of kids will lose interest quickly and move onto other things. The genius of Better Homes’ New Junior Cookbook is that all 65 recipes are presented as stories. Characters provide background information such as why each dish is made, how its made, and interesting correlated facts about it. This book targets young children and understands that its readership may struggle with reading long passages so it relies heavily on pictures and graphics, and all text is written in a simple, straightforward style. It doesn’t quite explain the nuance of consuming fats very well, but that’s a conversation that might be better executed in person anyway. The Better Homes New Junior Cookbook is our top pick for children’s cookbooks. Aimed at ages 5-12, it is the number 1 cookbook for kids filled with healthy recipes and vivid, bright, and colorful illustrations. The recipes include fun stories with cute cartoon characters to go along with the dish you are creating. Because these recipes encourage healthy cooking, it is not for picky eaters. A lot of the recipes are veggie and fruit related along with tofu recipes so make sure these are food items your kids will enjoy before making this purchase. The Kid Chef provides exceptional information on basic culinary skills to equip children with the basic tools and competencies to see them as the next Master Chefs in their generation. This children's cookbook is a thoroughly thought out teaching tool that challenges children instead of oversimplifying recipes providing them with an extra confidence boost that every child needs. It provides 75+ recipes, teaching children to make everything from snacks and small bites to nibble on, main dishes, and desserts that are parent approved. Striking a balance between a wide array of skill levels is a talent in itself and one that Kid Chef: The Foodie Kids Cookbook manages to execute flawlessly. This book is 202 pages and features over 75 recipes of different skill levels and cultural backgrounds. The book features full-color photography of all the finished recipes as well as the utensils chefs will need in the kitchen as they cook each and every delicious dish. The book also provides detailed information on every step of cooking: stocking the pantry, list-making, choosing recipes, grocery shopping, handling sharp tools, working safely with the stove, and more. It may not have stunning pictures but the instructions for preparing and cooking are very self-explanatory and very easy to understand and follow. The added learning activities are a bonus. 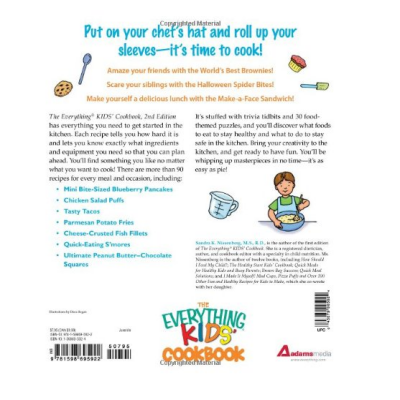 The Everything Kids’ Cookbook starts at the top and works from there: this book teaches children how to prepare even before they begin prepping ingredients and following the recipe. It’s a book that relies very little on infographics, so if you have a child that does better with lots of pictures, this might not be for them. But if you have a little one who is comfortable with text, this cookbook was compiled by a registered dietician who has been working for years with families on creating fun, nutritious meals that all can prepare and enjoy. The book also includes food-themed puzzles and fun facts to keep little minds sharp. It classifies each recipe by level of difficulty, so pay attention to that, and features over ninety delectable dishes. This Cookbook is not only filled with 90+ delicious recipes, but it is also filled with fun trivia and silly games for your child to enjoy! From awesome and fun recipes you and your child can make together, to safety in the kitchen, this book has it all. What was especially unique for a kids cookbook is that it has seasonal holiday treats, as well as the difficulty level of each recipe. This allows you to help your child choose which recipes they can make depending on how novice a cook he or she is. The recipes have something for everyone covering breakfast, lunch, snack time, dinner, smoothies and beverages, delicious salads, and fun seasonal themed recipes for each holiday. From Halloween spider bites to graham cracker houses, it has adults covered for holiday kid parties they can enjoy making with their kids! 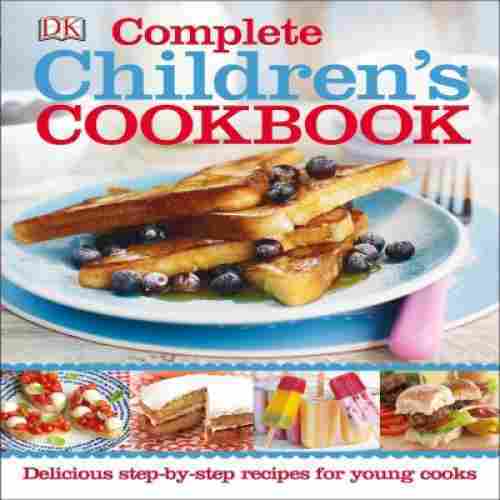 The Cookbook for Kids is a stunningly graphic way to introduce kids to some of the easy to prepare and truly delicious treats that have been somewhat tested and certified by kids themselves so that other children will be learning to make them and loving to eat them. These recipes may well have been kid-tested, as the consensus across the board seems to be that each and every one of the sixty recipes included is a family favorite. 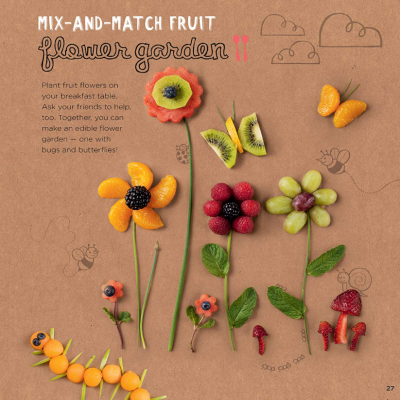 The Cookbook for Kids features illustrations alongside the text to better help kids and adults alike absorb the information. Additionally, it offers knowledge and information about healthy eating that kids can carry with them for the rest of their lives. Cooking is about more than just following instructions, it’s about understanding and respecting what you make and eat and Atwood recognizes that. The Cookbook for Kids might just be your stop if you have a picky eater. What sets this cookbook apart from the others is Atwood’s knowledge of what seems to be effective and what gets the ax when it comes to recipes that children not only enjoy making but also eating. The Cookbook For Kids is a great beginner cookbook. It provides 60 mouth-watering recipes that are easy to understand and easy to make. It is filled with beautiful photographs and vivid illustrations, making it fun for the kids and easier for them to understand. It has simple, but delicious recipes that cover everything you need to make your meal. With meals to choose from like fish tacos to cinnamon swirl french toast, it has a wide variety of recipes that are sure to please everyone. Each of the nine chapters that feature a theme makes it easy to find the perfect recipe for just what you are looking for. This is great for when kids are getting started with learning to cook and makes it easier for parents to make suggestions on what would be an appropriate meal. Each recipe offers photographs that are in full color with simple to follow step by step instructions. The recipes even include safety precautions preparing your little chef of what it takes to become a great master in the kitchen. With basic cooking skills and great safety practices they will be cooking dinner for you in no time. Finding recipes in this cookbook are quick and easy. It has been divided into nine chapters that each features a theme; breakfast, salads, soups, and more. This cookbook has a recipe for each and every occasion that the kids may need something for. Included is great recipes for items like French toast, tomato soup, ice cream, and muffins. Cooking is a great activity to build self-esteem for kids. The instant feedback gives them a great experience that helps them learn and grow their cooking knowledge. With these skills, they develop healthy self-esteem and a love for being in the kitchen serving others. The Cooking Class is a culinary adventure that takes children on a journey from the basics all the way to the complicated stuff in kitchen management and the creation of culinary masterpieces. The book’s content is organized in such a way the one progresses or “graduates” through levels of skills until such time he or she gains enough confidence to command the kitchen of his or her own. Cooking Class: 57 Fun Recipes Kids Will Love to Make (and Eat!) is the perfect guide for beginners. It begins with a segment called The Basics. This initial section teaches children all the important culinary skills that recipes don’t cover: inventory, stocking, safety, how to smoothly run a kitchen, and more. Once children have mastered these important topics, they can move through 57 recipes that are all big hits. A spoon graphic beside each recipe tells you how difficult it’s going to be (the more spoons, the more skills necessary). This way, you’ll always know exactly what you and your little one are getting into when you pick a meal to make together. This can help to avoid frustration, fits, and failed dinners. 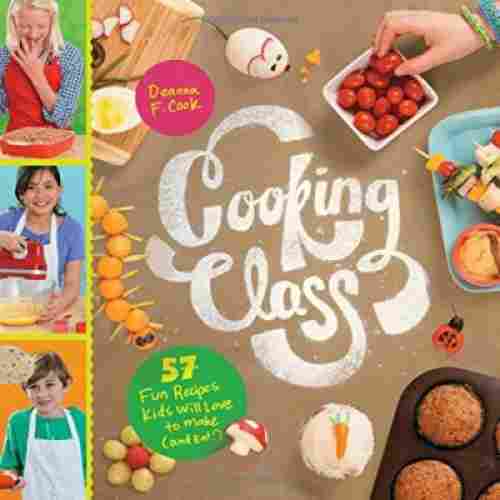 The Cooking Class cookbook is a great teaching skill for any child in the kitchen. Chapter 1 is a great introduction to teaching your children important kitchen rules, good ingredients to use, knife safety, how to measure, cooking with heat, and clean up. There are wonderful kid-approved recipes to make covering breakfast, lunch, snacks, desserts, and main dishes. It also has a skill level and is rated with either a 1, 2 or 3 spoon rating letting you and your child know how difficult the meal is to make. Teaching kids to cook is fun, but it is even better when they learn something from it. This cookbook not only teaches recipes but it highlights ingredients and gives fun little facts on each page. Cooking is a skill that everyone will need throughout their life, so why not start them young and show them how to do it the best way with healthy ingredients. Cooking is such a life skill, it is often left to the side, but it is just as important as learning to drive. Learning to cook and maintain a healthy lifestyle is much easier to learn at a young age and then just transition as they grow into adults. 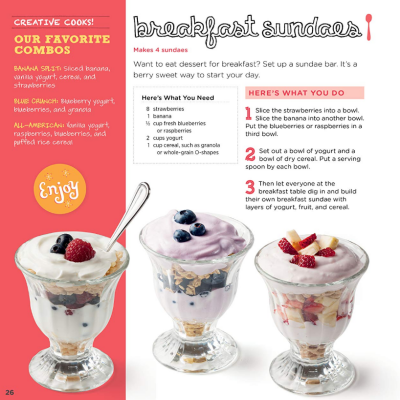 Each of the recipes features full-color pictures and encourage healthy eating habits. This book even includes great recipes for salads, burgers, and even pizza. It is the perfect way to show them how to nourish their bodies but still satisfy their taste buds. As they work their way through each recipe the fun food facts and what makes each ingredient good for them is highlighted. What a better way to make cooking fun and teach your little one about maintaining a balanced diet than with this wonderful cookbook? They are ready to prove to kids that learning to cook can be both healthy and fun. 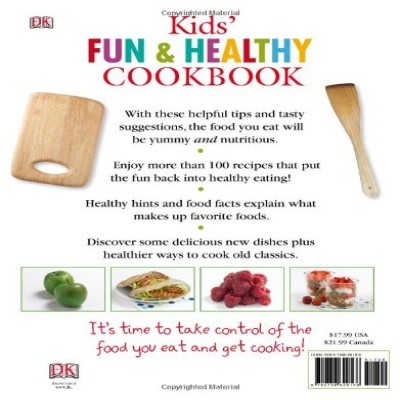 With more healthy 100 recipes in this cookbook with easy step by step directions, kids can develop a great understanding of cooking and how it affects their quality of life. First on our list of priorities was the appropriateness of the reading material to the age of the reader. Younger readers will typically rely on a lot of illustrations or images to help in the understanding of the different steps and principles inherent in the preparation and cooking of a particular recipe. Older kids can already understand textual information but it should still be written in such a way as to facilitate easier understanding. Tweens and teens will also require a different writing style to appeal more to their highly individualistic nature. It was imperative that the manner in which the recipes or the topics in the cookbook were presented followed a very logical and systematic organization that is appropriate to the developmental level of the reader. Additionally, we also looked for added value in the print. For example, hints, tricks, and tips can often provide a more fun way for kids to do certain things. This also helps eliminate the boredom that is often associated with the prolonged reading of such material especially among younger children who may not have the patience yet for lengthy reads. It was quite a challenge coming up with a list of the best cookbooks for kids partly because, like any other genre of literature, the choice is always a reflection of personal preferences. This was actually the case in our search as we read through the different feedback of parents and other consumers who have already bought the recipe book. We did strive for a minimum customer satisfaction rating for each of these cookbooks. However, major emphasis was on the pros and cons of the different products that we have initially listed. In cases where the cons far outweigh the pros, it was automatically scrapped off the list. There was simply no point including something that many people do not seriously think as worthy of their 5 stars. When the pros and cons were established and carefully analyzed, we then proceeded to dissect the book’s qualities a bit further. Cooking is a very important life skill. Your family may not always have access to instant food all the time and there will always be situations when personally cooked meals are called for. It teaches kids to appreciate real food. Only real foods have all the right nutrients that our bodies need. Compared to heavily processed foods, natural food items are healthier as they don’t contain harmful artificial ingredients. It’s a great way to manage picky eaters. Toddlers and preschoolers are known to be finicky. By giving them the power to cook their own food, they will be more than obliged to eat what they have prepared. 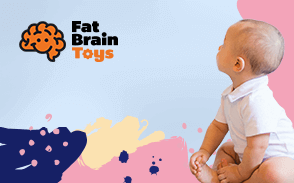 It helps to enhance the motor skills of kids. Stirring, measuring, rolling, or even sprinkling spices over the cooked food requires motor skills and good control of muscle coordination. It encourages children to practice their reading skills. Reading through the various recipes becomes a training session for kids to hone their reading skills. If eating together brings families closer together, then cooking with your kids can definitely strengthen your bond as well. Our best cookbooks for kids in 2019 should help you establish this relationship with your kid and pave the way for a more effective life skill set for them. q: What is the difference between simmering and boiling? Simmer is when the little bubbles on top start to surface of the water and boiling is when there are full big bubbles coming to the top of the pot. q: What are the most common mistakes made when it comes to food safety? The most common mistakes are not washing your hands frequently, improper food storage, cooking to proper temperatures, and storing food promptly after hitting 40 degrees F.
q: Which kind of cutting board is best to use, plastic, or wood? q: How do I make healthy choices when I shop at the grocery store? Check the labels and avoid center isles where all of the junk/temptation food is located. q: How do I know if my eggs are still fresh?